Today marks the start of another legislative session. 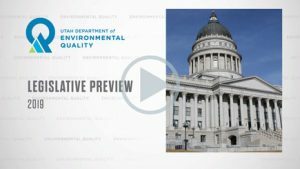 For the next 45 days, Utah’s Legislature will meet in Salt Lake City to change existing laws, pass new laws and set the state’s budget. Some of these laws and appropriations will address environmental concerns. Here’s a look at the upcoming session.